Tag: shopping | Something Odd! The Amazon Appstore for Android opened today and apparently Apple are already suing them for confusing consumers with a name similar to their App Store. 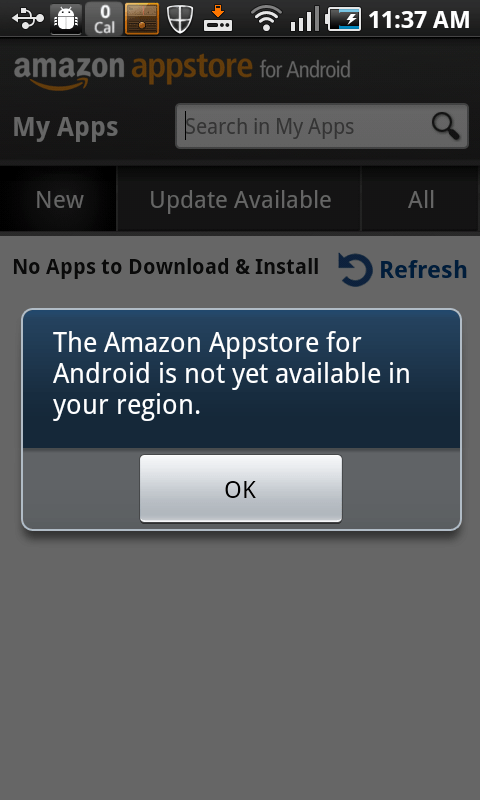 I wouldn’t really know because after downloading the Appstore app (beautifully simple procedure: click a link in an email/text to a .apk file) and logging into Amazon it refused to let me download the exclusive Angry Birds Rio game. Good thing I’m sick of Angry Birds, but it’d be nice if it worked over here too!